The Fender Precision Bass has set the standard for electric bass tone since the 1950s. The Midnight Precision Bass takes that 50s DNA a step further with its classy gloss Black finish, gold hardware and matching headstock. The vintage-style split-coil P Bass pickup brings the thunder youd expect. 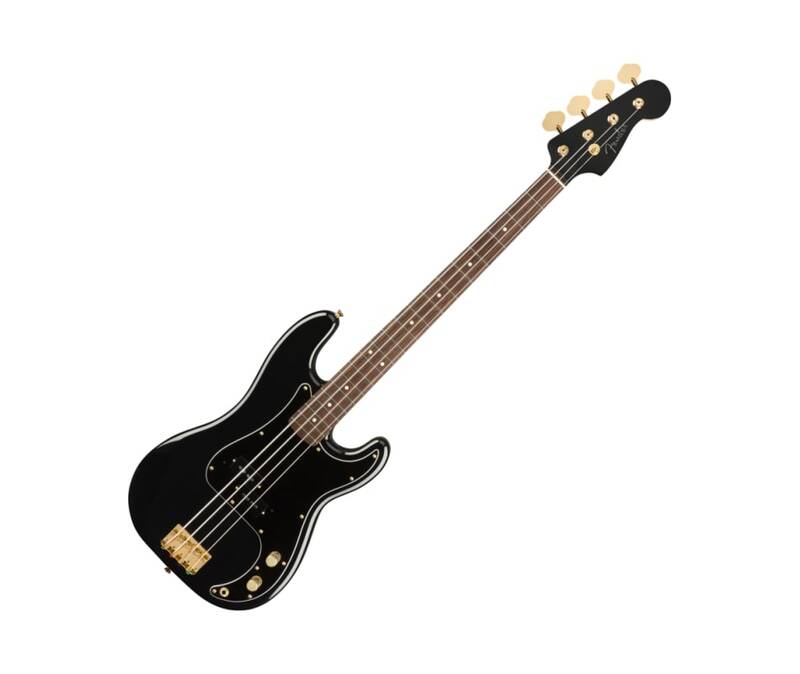 The tall, dark and handsome Midnight Precision Bass looks slick as it lays down the low end. Available now, for a limited time only.